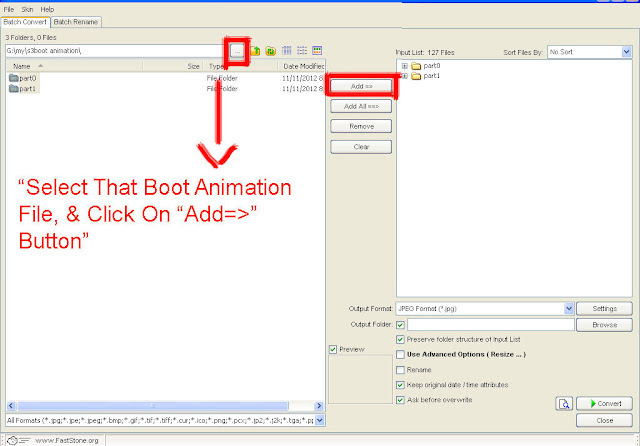 MAKE YOUR OWN BOOT ANIMATION WITH YOUR OWN FLAVOR. So Guys Here I Going To Teach You How To Edit & Resize Any Boot Animation. 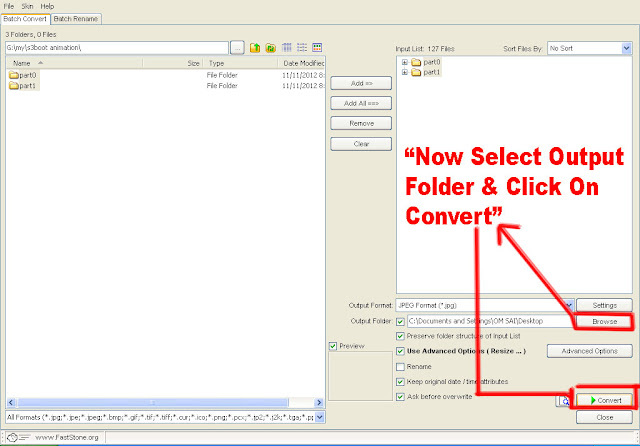 1) Boot Animation.Zip (Download That Boot Animation.zip That You Want To Edit Or Resize). 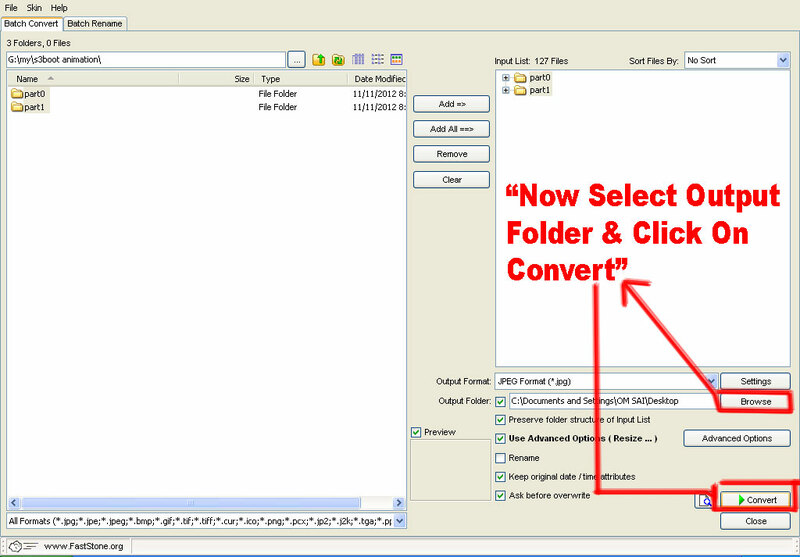 2) Image Resize Software "DOWNLOAD". 3) Boot Animation Creator "DOWNLOAD ". 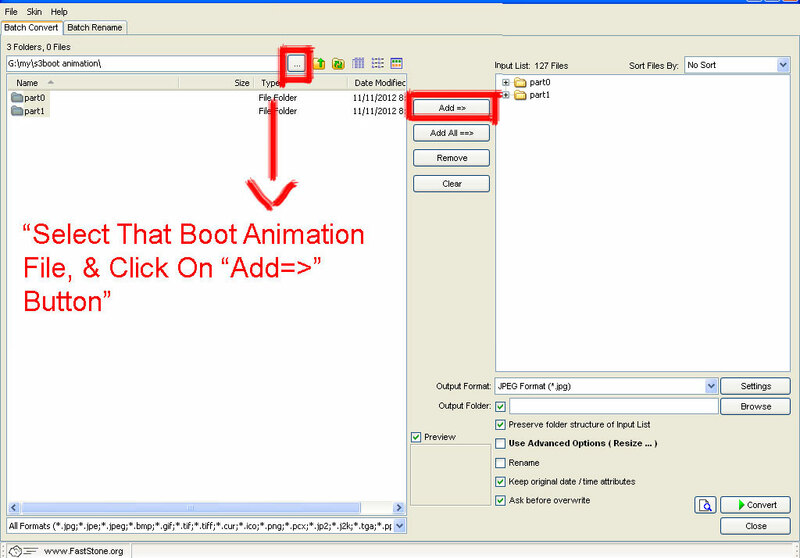 NOTE - [Boot Animation Creator Software Require .Net Framework 4.0] "DOWNLOAD ". 1 After Download That Boot Animation Zip Extract It On "Desktop",Open It On "Photoshop" (If You Want Add Your Own Flavor Other Wise Leave It). 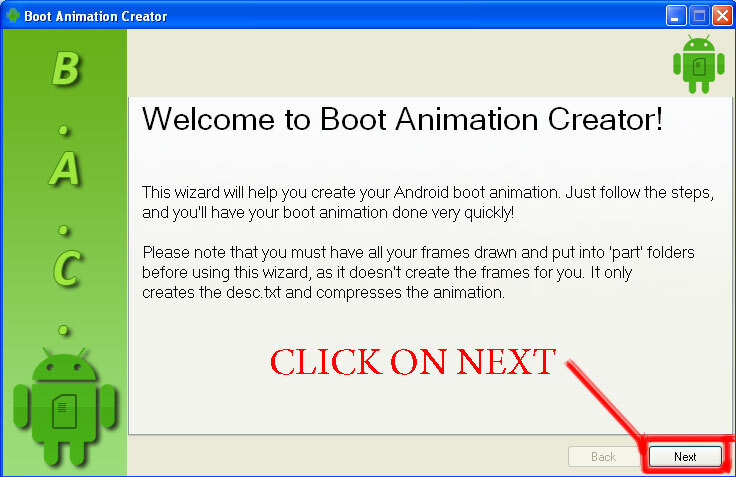 2 Now Install .Net Framework 4.0 After Finish Installation Of It, Install "Boot Animation Creator". 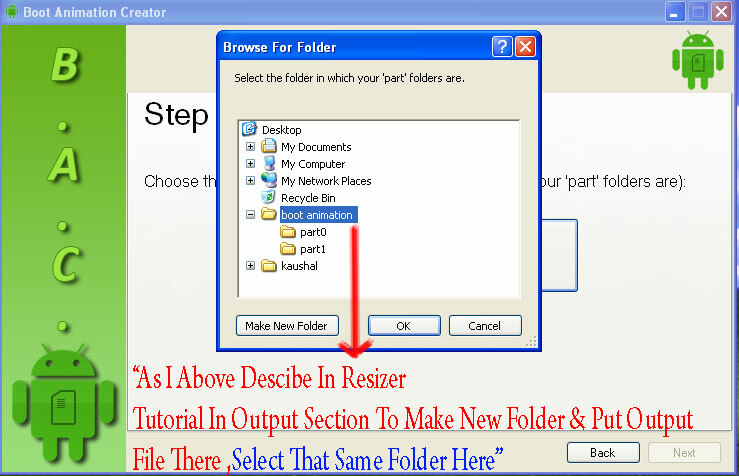 3 Now Extract "Image Resizer.rar" & Open "Fs Resizer" Named Software. 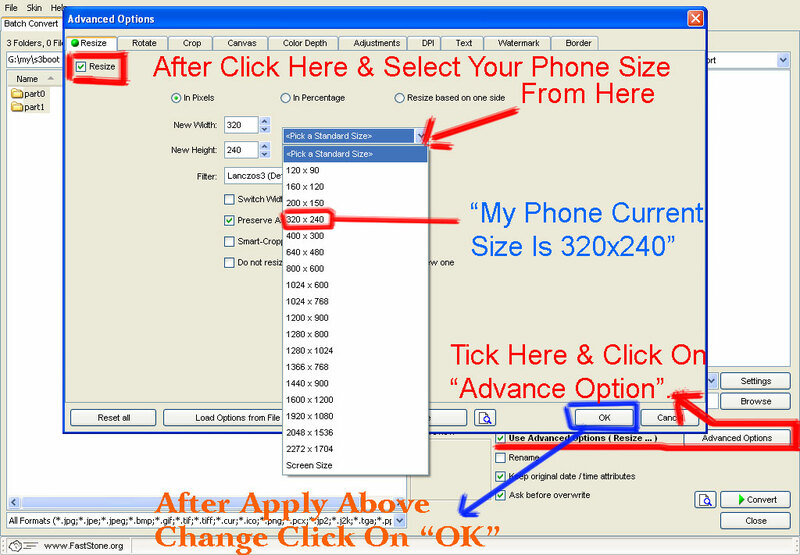 (After Selection Of File ,Tick On USE ADVANCE OPTION (RESIZE) & Click On "Advance Option",When You Click On Advance Option A New Window Popup Open; Now Tick On "Resize" Option As Show In Figure & Select Your Phone Size, My Current Phone Is SGM There For -320 x 240), Than Done Click On Ok). RESIZE OUTPUT FILE THERE]. 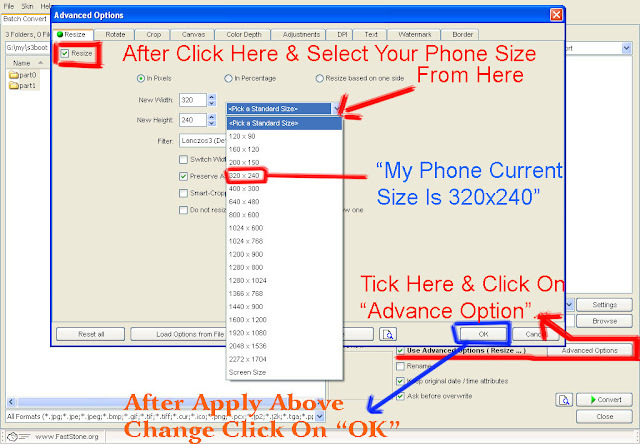 As Show In Below Image & Click On "Convert"). 7 You Done Great Job :D.
3) Now Add Loop, You Can Do It Your Self & Click On "Creat Boot Animation"
PLEASE READ ABOVE STUFF CAREFULLY BEFORE COMMENT.